Oh yes here is another card using the Bird Banter stamp set. I just like the birds and I am not really a bird person. 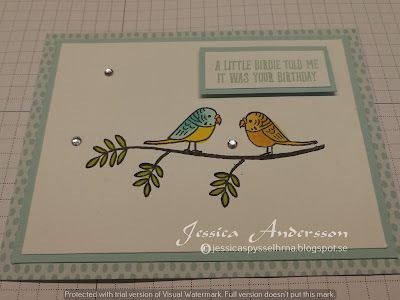 I am using the free Tutti-Frutti cards and envelopes as base for my card. This is a cardbase is in Pool Party. 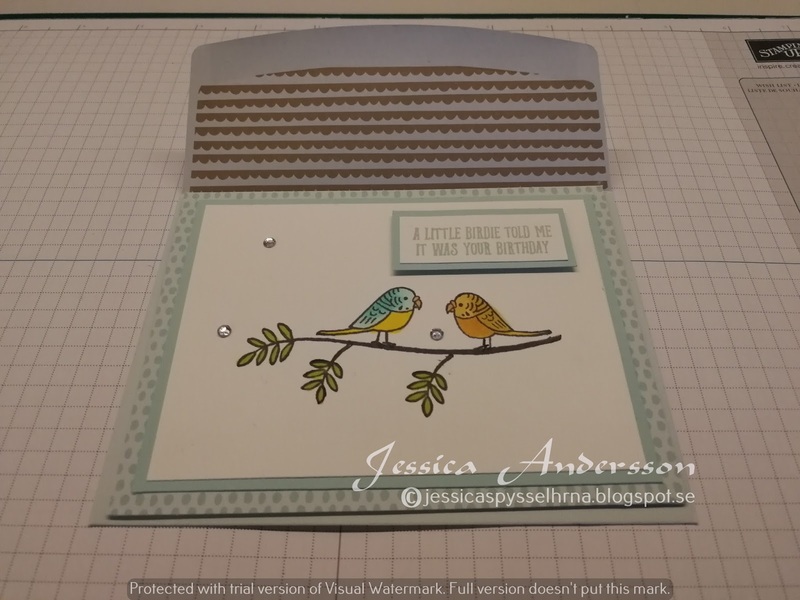 Added a layer of Pool Party cardstock and then a Whisper White layer. 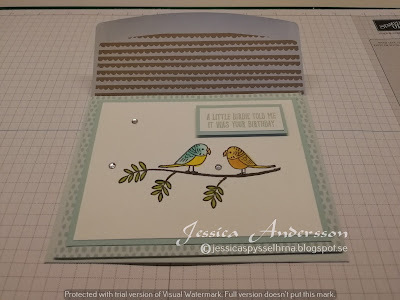 On the white layer I stamped the branch and leaves then the birds. I coloured the birds with my Copic Markers and the leaves with Lemon Lime Twist marker. The sentiment is from same stamp set and stamped in Pool Party ink. Also added som rhinstones. Have a great day and thank you for visiting me!